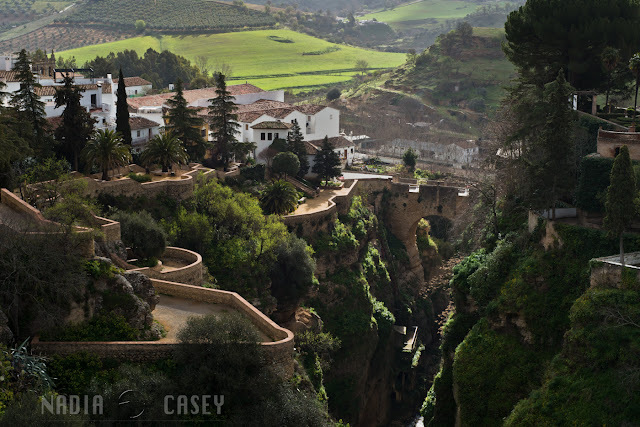 After years of planning and 3 previous attempts, I finally made it back to Andalusia! 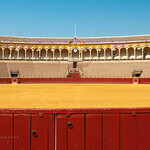 My first trip to the region was a quick stop in Seville with Nadia in 2010. 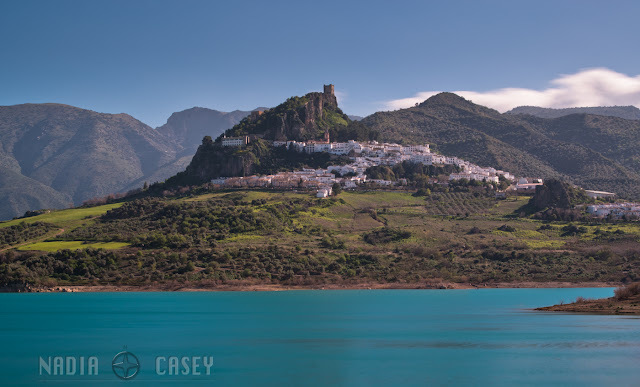 We were on our way from Madrid to The Canary Islands and I have been dreaming of returning ever since. 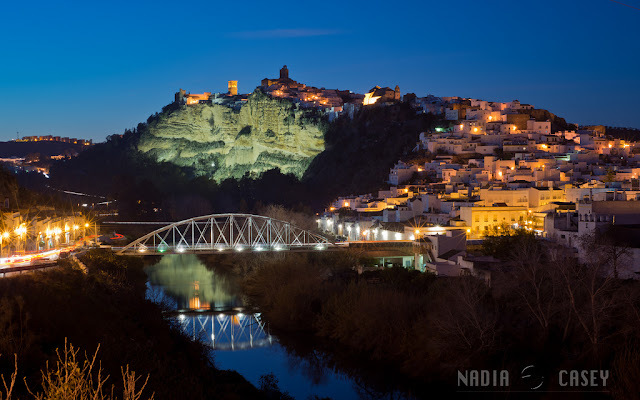 While Nadia was busy with other obligations I decided it was time to go for a fairy tale road trip through one of Europe's most famed regions for history, culture, architecture and landscapes. 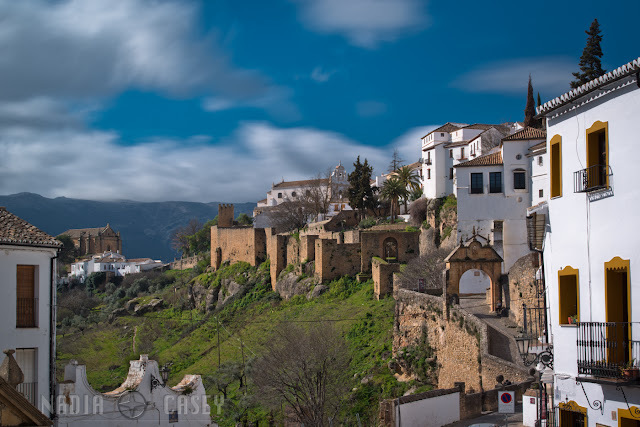 Renowned for its medieval history Andalusia is bursting with sights, sounds and flavours of one of Spain's most influential periods, The Reconquista. This period of Spanish history, called The Reconquest in English, starts at the beginning of the 8th Century and ended in 1492 with the fall of Granada to Christian forces under Ferdinand and Isabella. After a Muslim Army crossed the straights of Gibraltar into Europe in 711 AD they quickly took control of modern day Spain and Portugal as well as parts of Southwestern France. 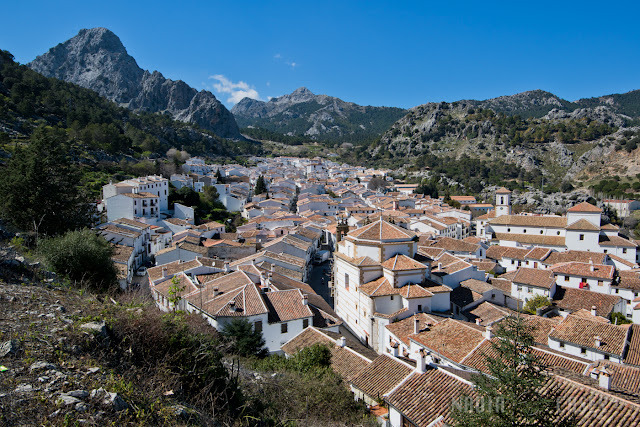 To most people the Reconquest begins when the Muslim army suffered their first defeat at The Battle of Covadonga in the modern day region of Asturias and marked a turning point in the Muslim advance into Western Europe. Although it's widely thought that the Reconquista was a battle between Islam and Christianity, most scholars believe that this was an ideology that didn't come into play until some time in the 10th century. Throughout most of the period of Muslim rule, kingdoms were at war with each other for numerous reasons other than religion. It was not unusual for Christians to join forces with Muslims against other Christians and vice versa. Spain's most famous knight, El Cid Campeador fought for both Muslim and Christian kings. This period was also a time of relative peace between religions. While most of Europe was entrenched in the dark ages the Iberian peninsula was enjoying a time of prosperity as the Muslims were advancing quickly in fields such as science, literature, medicine, and more. 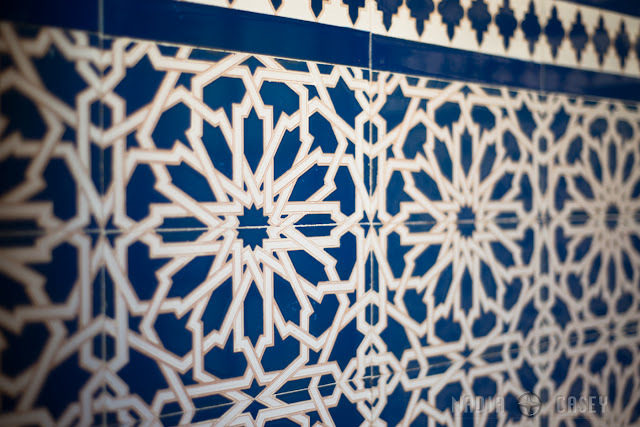 It was a time of great prosperity as well as great upheaval and it left the Iberian peninsula with a unique blend of Islamic and Christian culture that is still very clear today. 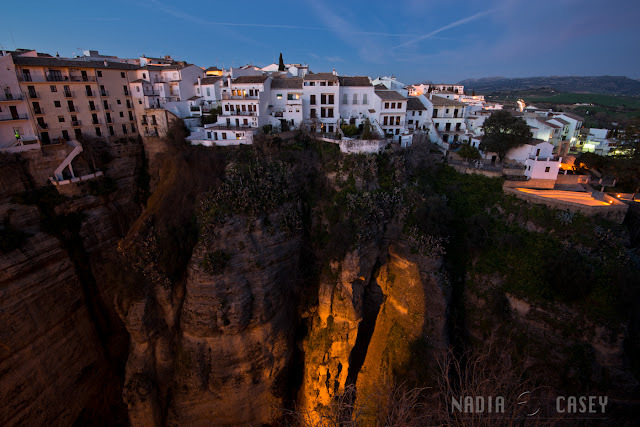 I have always wanted to do a "Best of Andalusia" trip but like always time is just too short. I had a choice of taking the time to indulge in the details or hit the road hard. In the end it turned out to be a balance but I wanted to lean slightly to the slow side so I could take the time to compose my shots. This of course meant I would miss a number of the most important sights, like Granada and Córdoba. Without those two important cities "The Best of" would have to wait but there will be a next time. 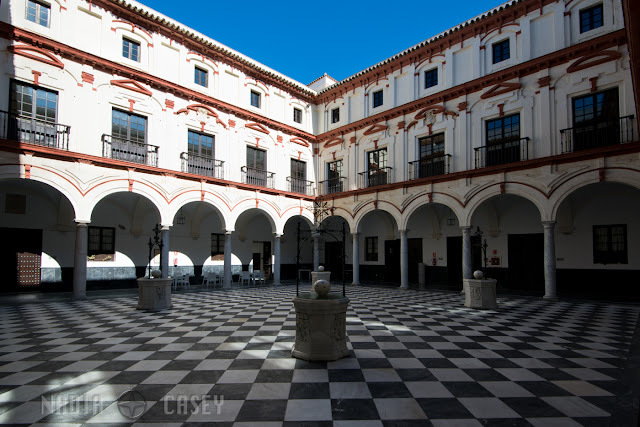 The trip was also based on where the cheapest flights were so it began in Seville. 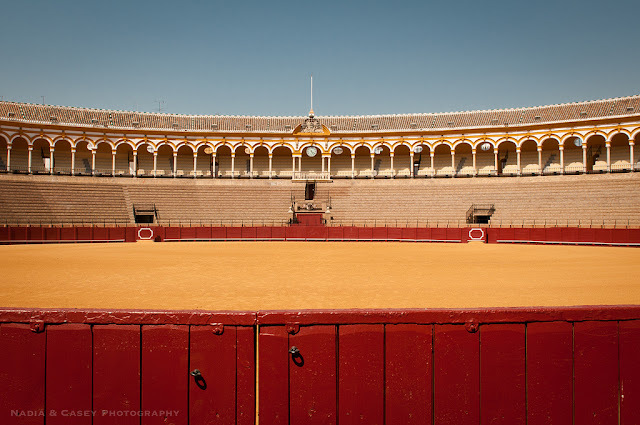 I have been to Seville before and as much as I love it time was short. 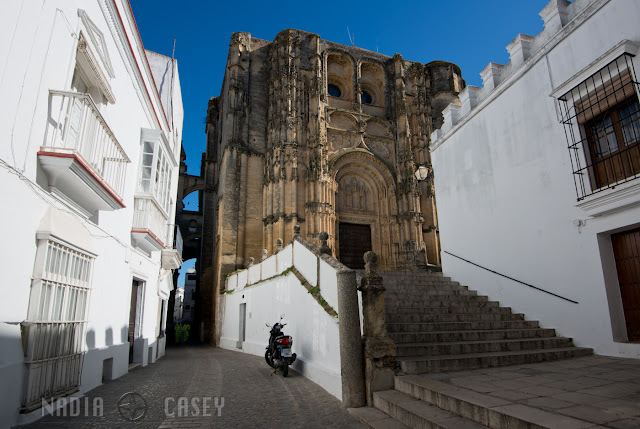 I picked up my car at the airport and headed to Cadiz. 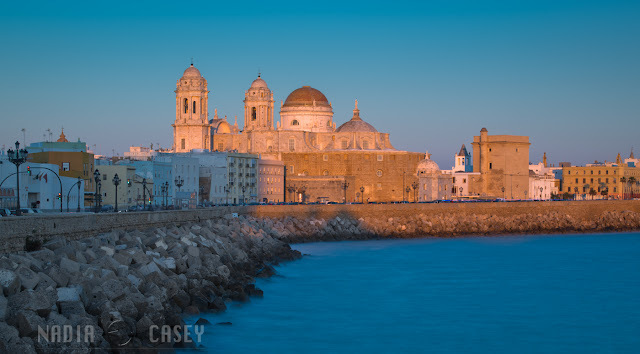 Cadiz is a major port about an hour drive directly south of Seville. The modern cranes offloading cargo are visible from most points around the area but once I entered the historic center things turned quickly. The old beautiful architecture and traditional ambiance took over and I was in love. 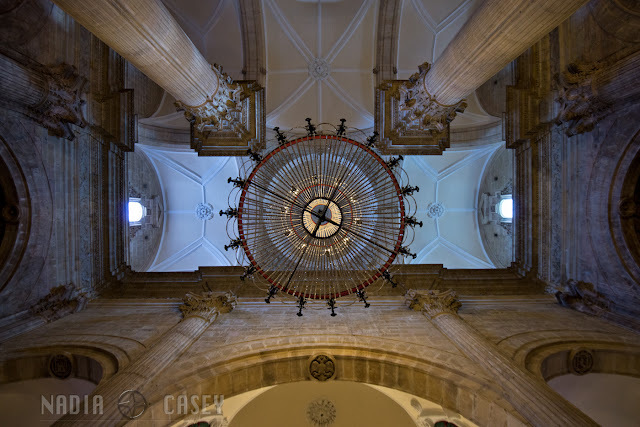 The cathedral is one of the more impressive cathedrals in a region with some of the best in Europe. There are also nice beaches for those who like to take a dip between time traveling. 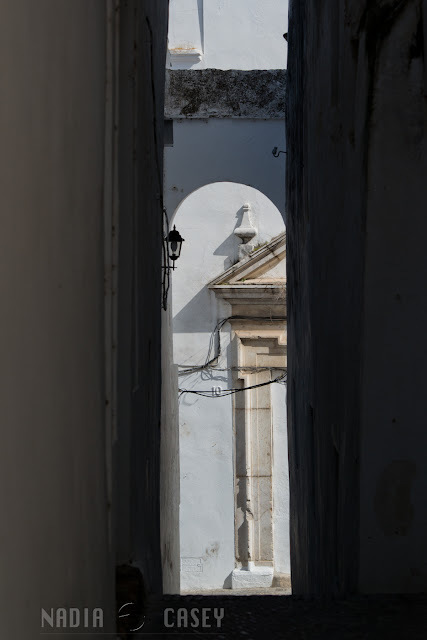 After Cadiz I headed to the city that first sparked my interest in doing an Andalusian road trip, Arcos de la Frontera. 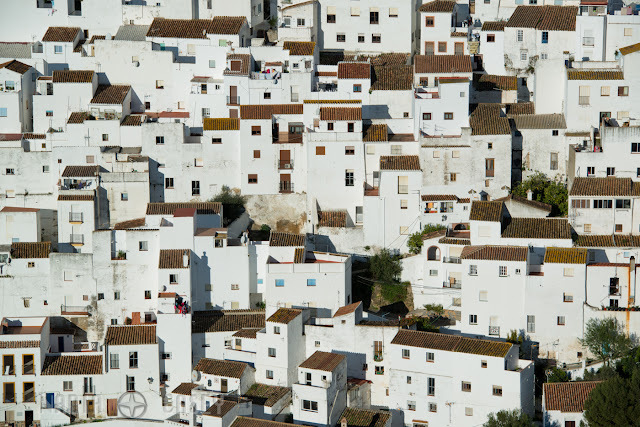 Arcos was the first of my two main objectives and is one of the highlights of Spain's famous White Villages, The Pueblos Blancos. 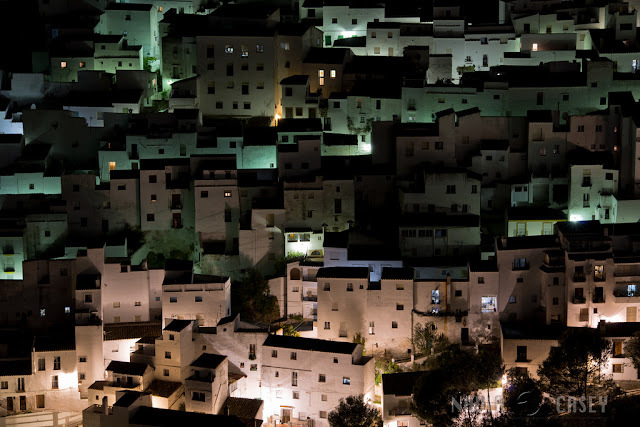 After seeing a video on Youtube I was mesmerised and discovered there were tons of these little villages all across the area. 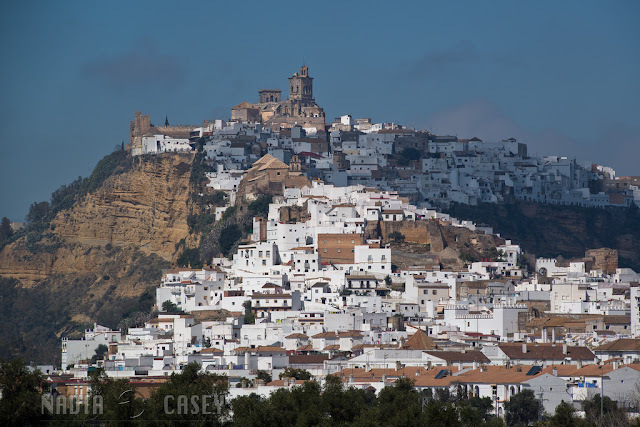 The Pueblos Blancos help make Andalusia one of the best regions in Europe for road trips and I was concentrating my time on the southernmost area between the Atlantic port of Cadiz and the Mediterranean port of Malaga. 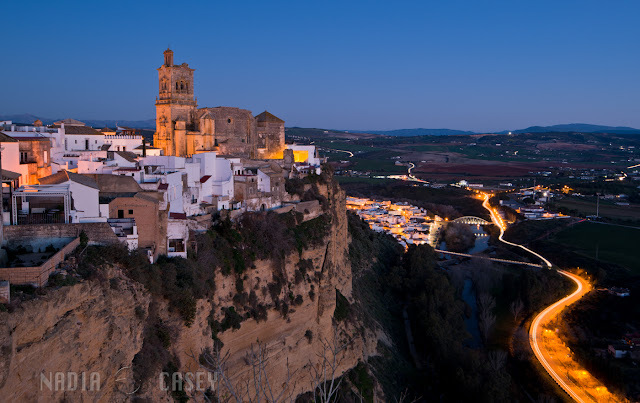 Arcos is perched high on a cliff offering impressive views and an ideal place from which the original inhabitants could defend them selves. 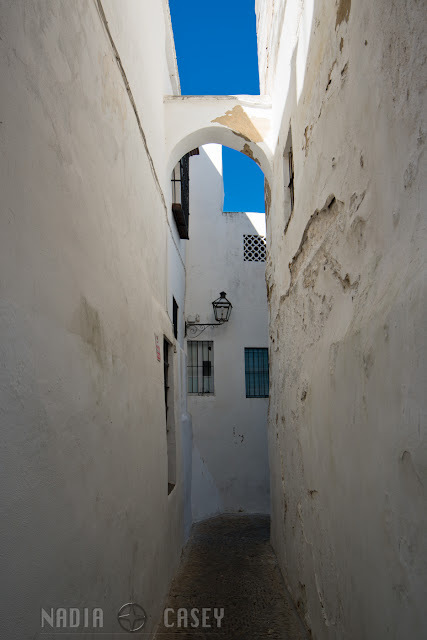 The narrow streets and authentic architecture provided a spectacular atmosphere to get swept away in an Andalusian adventure. 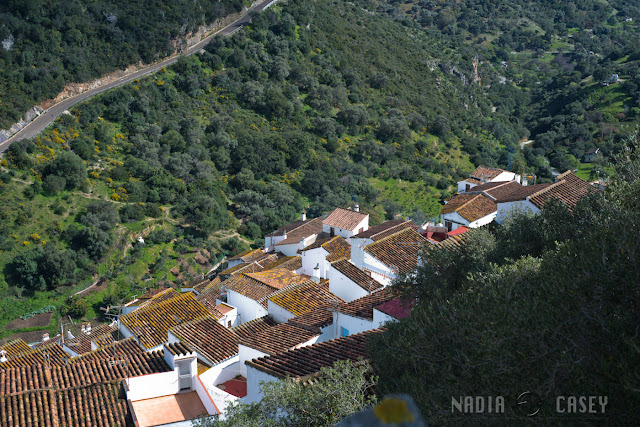 My last morning in Arcos I woke up to do some sunrise shots and then it was time to get out into the country on my way to Ronda. I left the city early that day also to leave time for lots of stops and detours. There were 2 main sights of the day besides the spectacular mountains and beautiful nature. 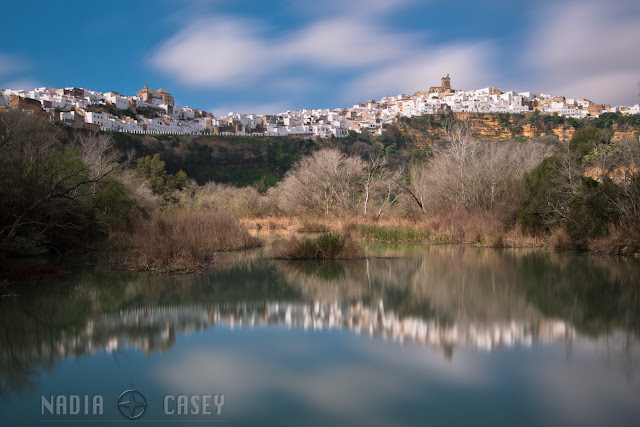 Grazalema, a beautiful little village high in the mountains that has largely been spared from any modern developments and Zahara de la Sierra, a village perched way up top of a large hill dominating the lake and valley below. 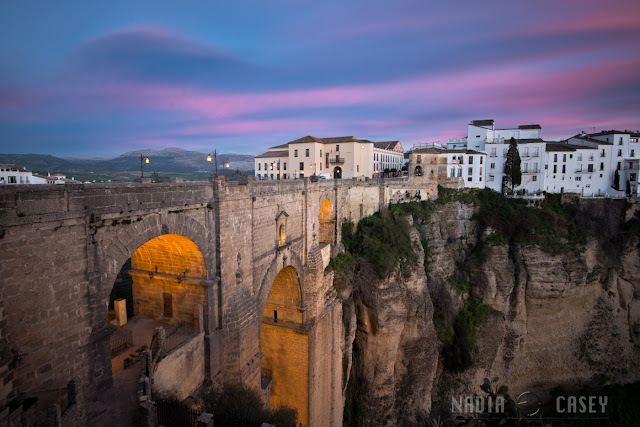 I arrived in Ronda just in time to take a walk to the Puente Nuevo for sunset. On a trip that had so far proven to meet or exceed my high expectations, the New Bridge and the canyon it spans were the unexpected surprise of the trip. It has looked impressive to me since the first picture I ever saw but to see it in reality clearly illustrates the limitations of photography and any digital media experience. It was truly a sight to see and despite spending days there photographing it from all angles, at all times of day and with an arsenal of lenses, the images just don't do it justice. 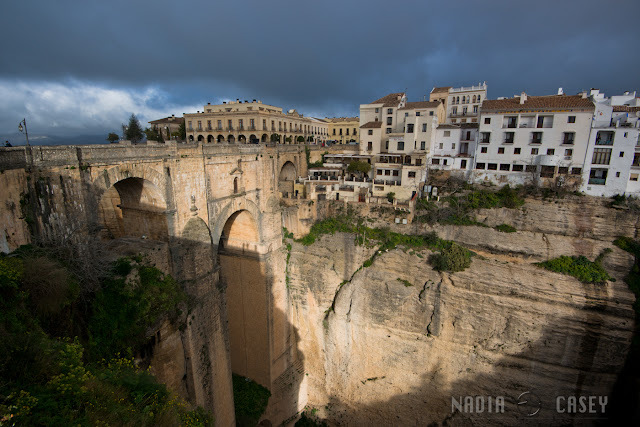 Ronda is a wonderful "medieval city," but like all historic places around the world, updates are frequent. 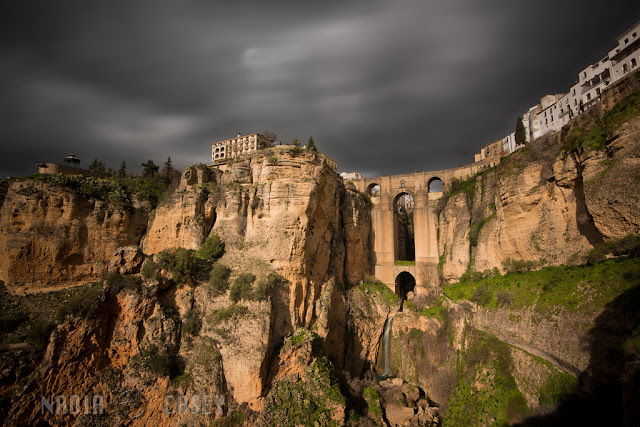 The biggest example in Ronda is the main attraction, The Puente Nuevo or New Bridge. It’s a spectacularly beautiful sight and is still historic but was built between 1750 and 1800. It’s fun to imagine a structure like this being built 800 years earlier and the impression it might have made on someone seeing it for the first time. It’s still an impressive sight today and well worth spending a day or two viewing it from all sides. The city it's self is also impressive with a variety of attractions equally as interesting as the bridge. 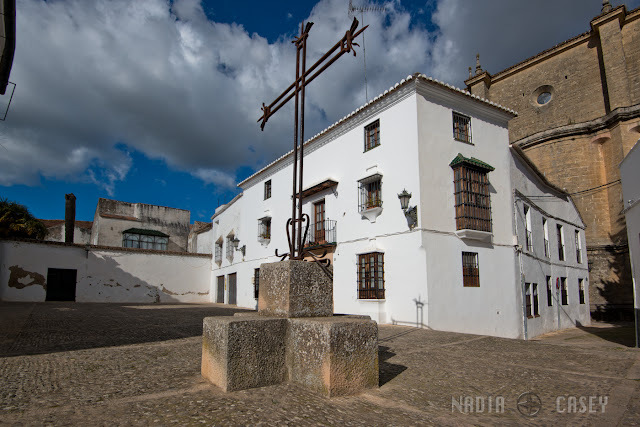 From the typical stone streets to the old medieval wall to the cathedral there is enough to keep you entertained and filled with intrigue for weeks. 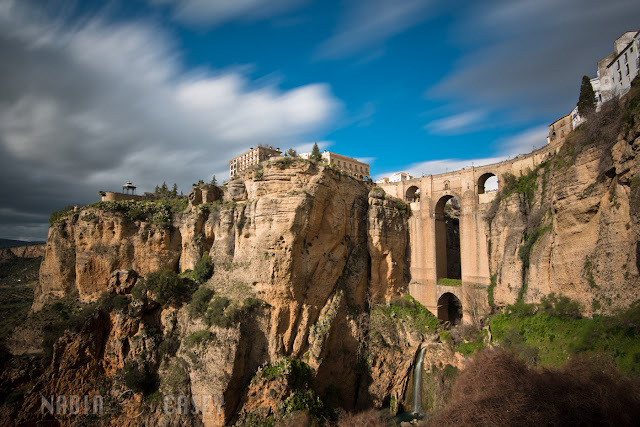 From Ronda it was time to go south to a cliffside town that looked impressive but seems to be off the tourist rout as there wasn't a lot of hype or great images on the Internet. 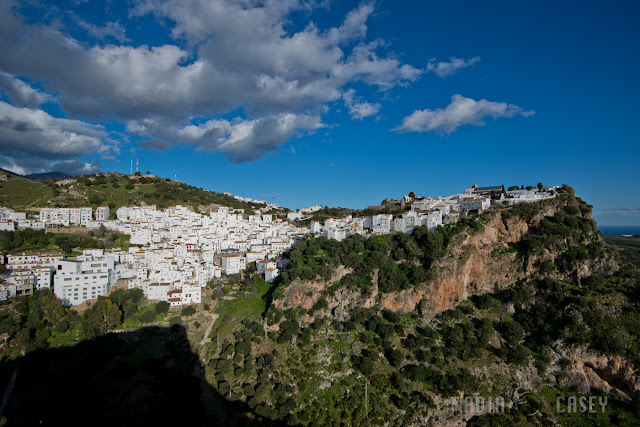 Casares is really a "cliffside town.” It clings precariously to the side of a rocky mountain and it was as scary as it was romantic. 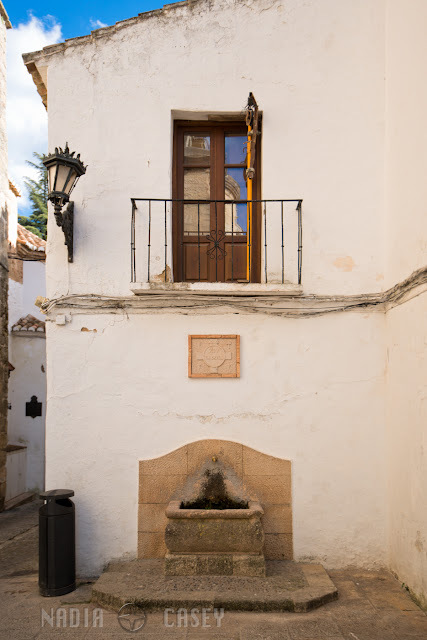 Not just from far either, the little stone streets and quintessential centre were rustic but well-kept and preserved the ambiance one would hope and expect from a little town in the mountains of Southern Spain. 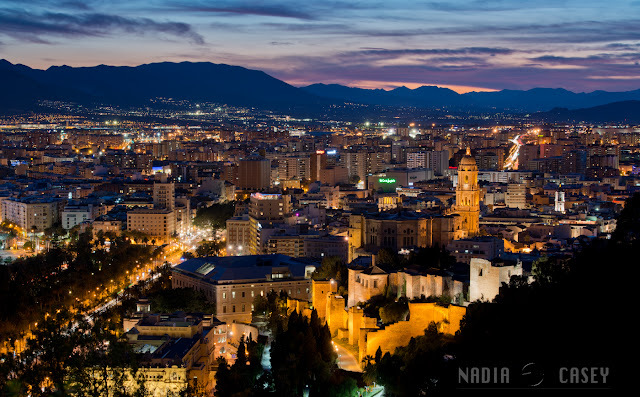 The final stop on the trip was Malaga. 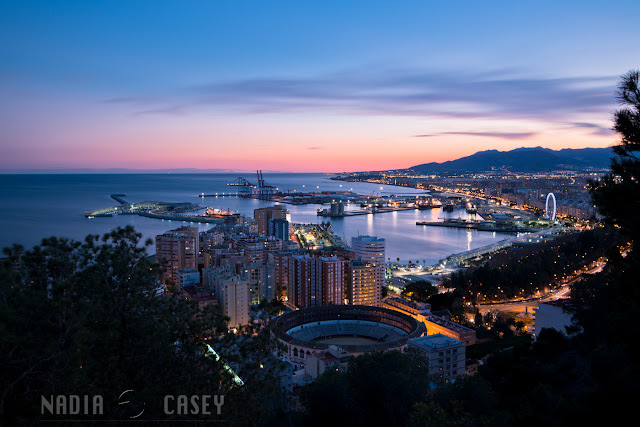 Malaga is a relatively large city and is the main airport for most people coming in or out of the Costa del Sol. The city looks impressive and it was clear from where I was staying that there is a lot to see and do. I only gave myself one day to be there so there is much to see when I return. The cathedral looks beautiful and as well as the castle that will be high on my list of things to see in the future. 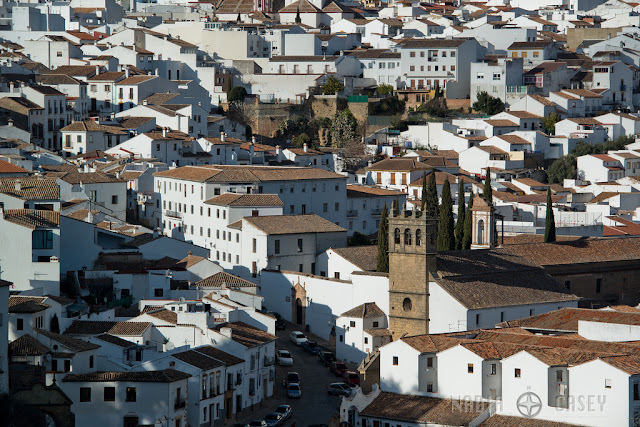 Next time I’m in the region will focus on Granada and Cordoba but there are a few other little sights like Antequera, Vejer, Setenil, Carmona and more that I would try to see as well. It was an amazing trip that was everything I was expecting and more. Muchas Gracias Andalucia! Me Encanta España!